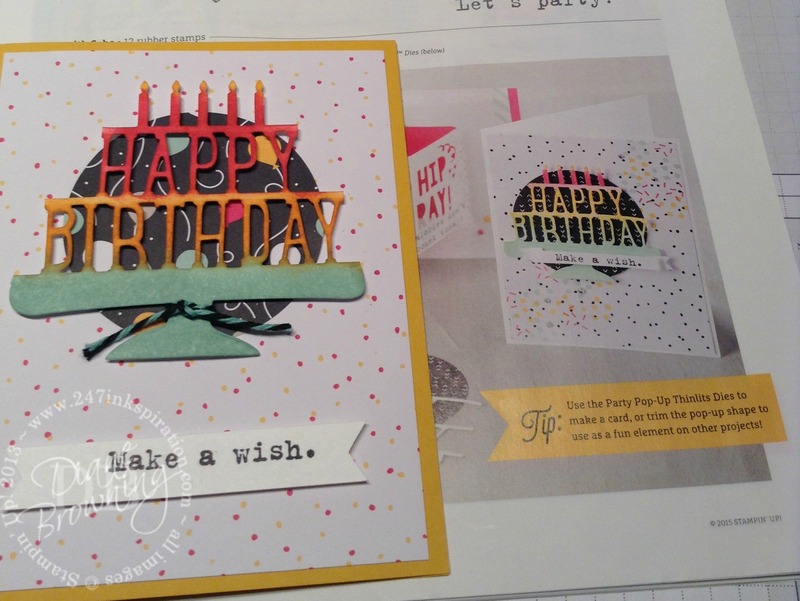 On Monday, I showed you a couple ideas using the Party Pop-Up Thinlet dies just as they are intended. I made a couple different pop-up cards and then I thought, what else can I do with these dies? I can’t make pop-ups for everyone because then they start to look too similar. 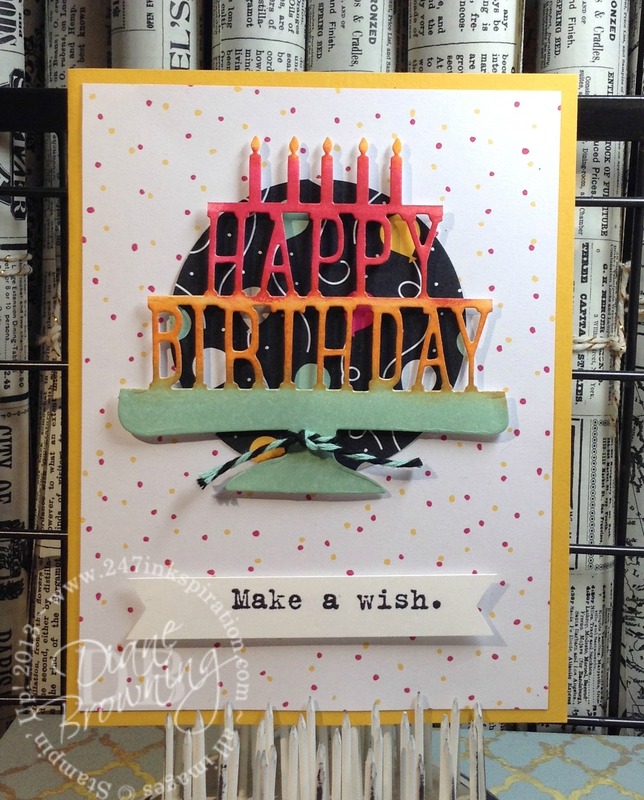 I really like the idea of using the big Happy Birthday as a giant cake on the front of the card. All you need to do is trim the six little “arms” and you’ve got a giant cake! Watercoloring is huge right now in crafting and I love when I see the watercolor wash across the front of a card. It adds so much but doesn’t take any time to do and requires no painting expertise. All you need to do is dip your Aquapainter into some ink and “paint” the front of your card with it. Start with less ink and then add more as you need it. You can do all different colors or even just one color across the front. Depending on what ink color you use, this card can be either masculine or feminine. 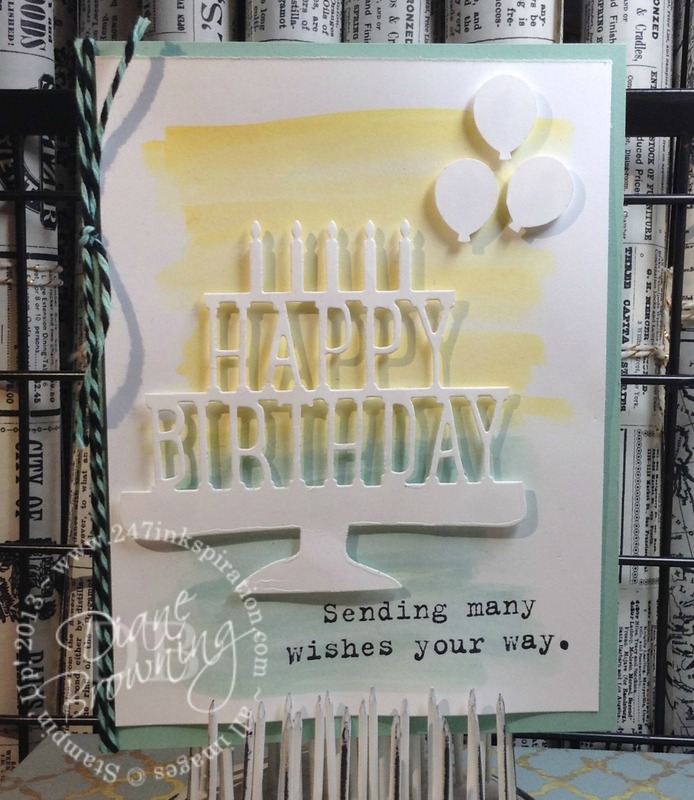 You will want to let your watercolor wash dry before stamping on it. If you don’t, your stamping will bleed. On this card, I left the die cut just plain white. I added a couple of the mini balloon punches from the Party Punch Pack. This card was super quick to make! My next card uses the die cut again just by itself, but this time I colored it in using my ink pads and daubers. The colors are Melon Mambo, Crushed Curry, and Mint Macaron. Instead of watercoloring the background, I used paper from the It’s My Party Designer Series Paper Stack. You can see my card is very similar card in the Occasions Catalog. 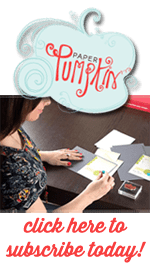 Don’t forget that Stampin Up gives you tons of ideas created by professional artists in every Catalog. It’s totally okay to copy the samples exactly or to change them up a little bit using whatever products you own. Don’t worry, your friends will never know that you copied an idea out of the catalog. I mentioned on Monday that my son is turning 16 next month and just two weeks after his birthday is mine. I’ll spare you the exact number because frankly it’s just too late in the day for math. And honestly the last couple years, I have to pause and think about it when someone asks how old I am (seriously, how rude are they for even asking!). YOU can easily make either one of these cards! 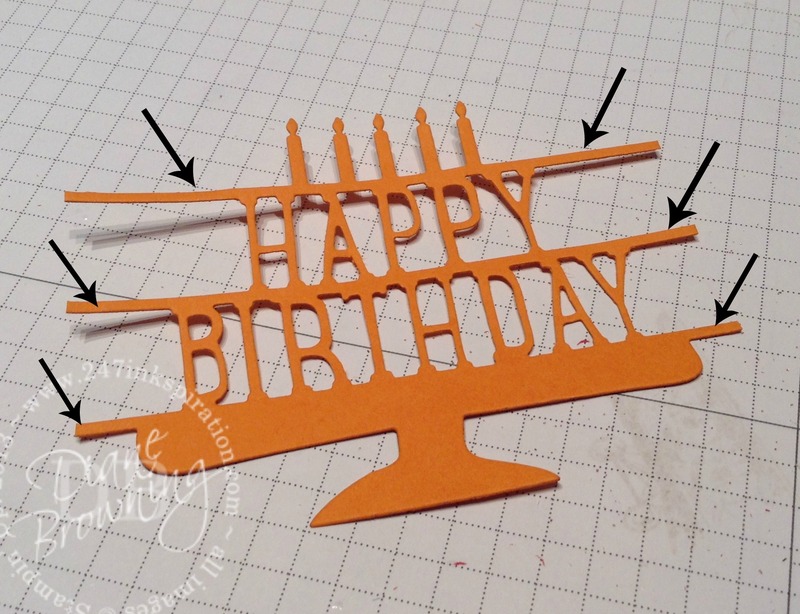 Your friends will be so impressed that you hand cut out that “happy birthday” cake for them. You could correct them and tell them it’s really a die cut, but why do that? Might as well milk it for all it’s worth. When you just smile and nod and say thanks for the praise, they’ll be thinking about how much time you spent making something special for them. And that’s what this whole card making thing is really about… showing someone you care about them. I love the way the white one photographed! Thanks Poli! I love how it turned out too!